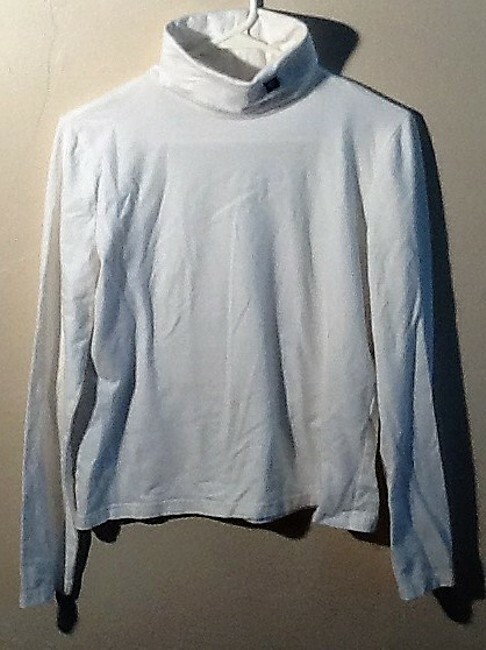 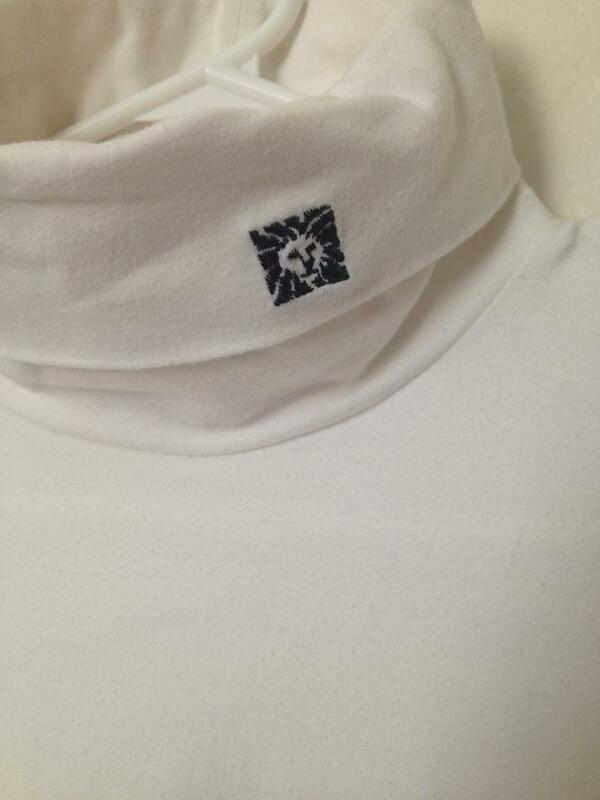 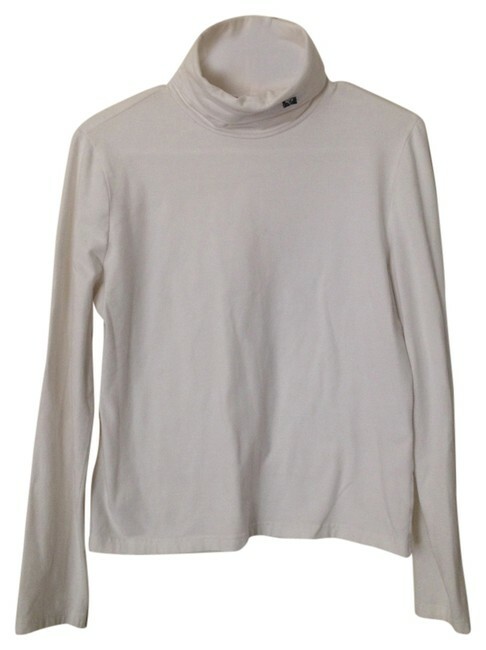 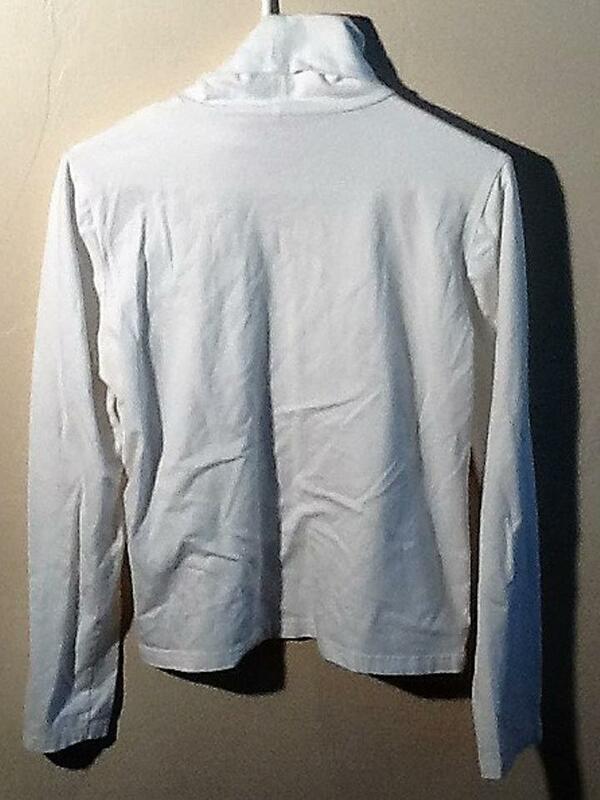 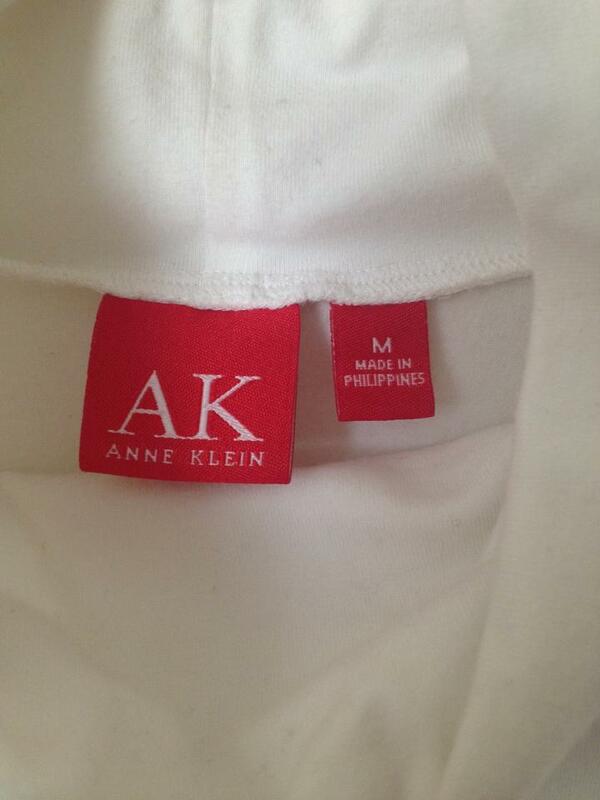 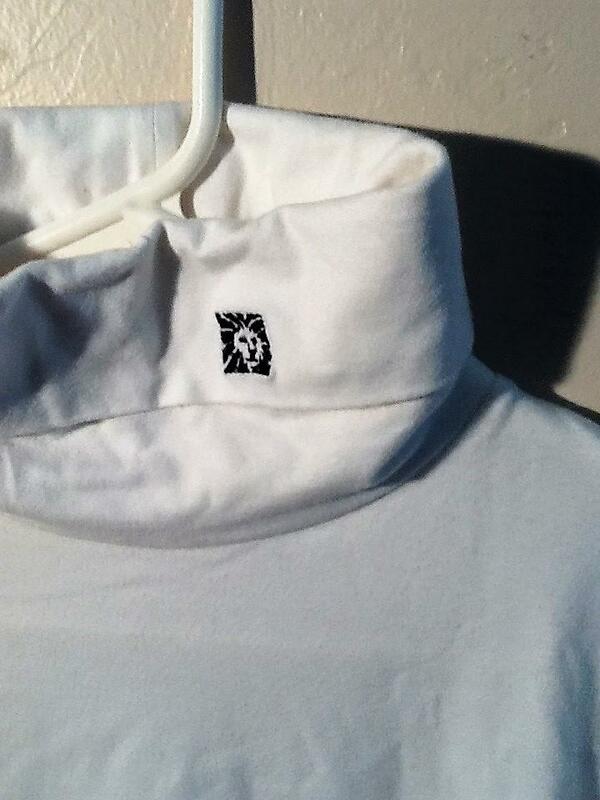 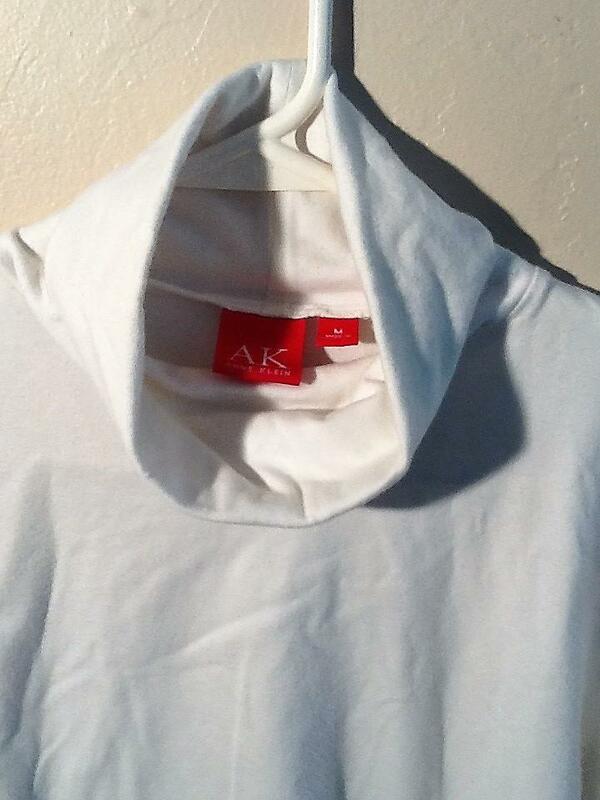 Anne Klein off-white mock turtle neck with insignia. 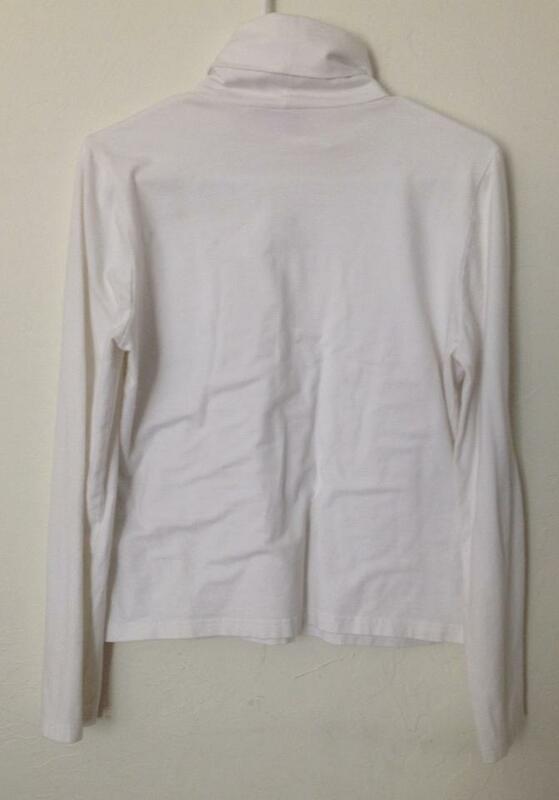 Long-sleeve. 95% cotton, 5% spandex.